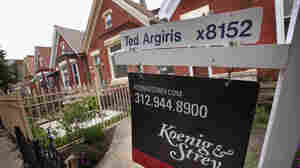 December 27, 2011  Home prices have fallen 35 percent from their peak about six years ago and continue to drop. That makes lenders and potential homebuyers nervous, so sales aren't picking up much despite the lowest interest rates in decades. And the unsolved foreclosure mess continues to push prices down even more. December 14, 2011  Mitt Romney says that as governor of Massachusetts, he toed the Republican line and refused to raise taxes. But how was Romney able to govern a cash-strapped state for four years? We take a closer look at his actual record on taxes. Triple-A: Are Any Assets Truly Risk-Free These Days? December 7, 2011  Standard and Poor's warned six European countries this week that they could lose their triple-A credit ratings. In August, S&P downgraded the U.S. from its top-shelf credit status. All this raises the question of whether any assets are "risk-free" triple-A in today's unsettled global economy. December 2, 2011  The Labor Department reports that the country's unemployment rate fell sharply last month. It dropped from 9 percent to 8.6 percent. Unfortunately, the real labor market may not have improved all that much. Many workers have given up looking for jobs, and their "retirement" can skew the unemployment rate, making it look better than the reality. November 23, 2011  Anthony Hardwick, a Target employee from Nebraska, made headlines for his petition drive against the company's plan to open stores at midnight after Thanksgiving. Is it wrong to make employees work right after they finish Thanksgiving dinner? Or is Target simply giving customers what they want? November 22, 2011  Federal regulators have announced a nationwide review of foreclosures by the country's largest banks. The goal is to reach homeowners who've been treated unfairly, or who lost their house when they shouldn't have. Anyone in any stage of foreclosure during 2009 and 2010 is eligible for the review. November 15, 2011  The Federal Housing Administration issues its annual report to Congress Tueday. A professor at the University of Pennsylvania's Wharton School is warning the FHA's problems are worse than the agency is letting on. Joseph Gyourko predicts that taxpayers will have to provide another bailout if the economy doesn't improve soon. November 14, 2011  One family submitted necessary paperwork for a loan modification to Bank of America but was told it wouldn't qualify — until a letter arrived recently that admitted the bank had made a mistake. Regulators are now trying to address the problem on a large scale. Latest Economic News Sparks Optimism In U.S.
November 10, 2011  New reports Thursday showed the U.S. economy may be poised for a rebound. The U.S. trade deficit narrowed more than expected in September as exports rose to record levels, and jobless claims fell to a seven-month low. November 4, 2011  A Labor Department report showed that the October unemployment rate fell a tenth of a percent to 9 percent in October. Friday's number was less than what most economists had hoped for. November 3, 2011  Machines used to take over work that was physically hard or dangerous or just monotonous. But one expert says that now the things that are easiest to automate are not the lowest-skill activities. Instead, higher-skill, better-paying jobs are being lost. October 27, 2011  The U.S. economy grew 2.5 percent in the third quarter of the year, easing concerns that the country has tipped back into a recession. October 27, 2011  One little-noticed measure of economic growth is the Truck Tonnage Index. The latest reading shows that trucks are carrying more goods, and that suggests the economy is doing well enough to avoid a recession.